Stretch marks are a kind of scarring that occurs on the skin that turns the skins off colour. It occurs because of the wear and tear of the dermis. It occurs due to hormonal changes, pregnancy, body building or due to being overweight. They appear in regions where a large amount of fat is stored- abdomen, thighs, calves, hips etc. A sudden gain of weight causes our skin to resist the stretching and causes stretch marks. Cocoa butter is also called as theobroma oil. It is an edible fat that is extracted from cocoa beans. 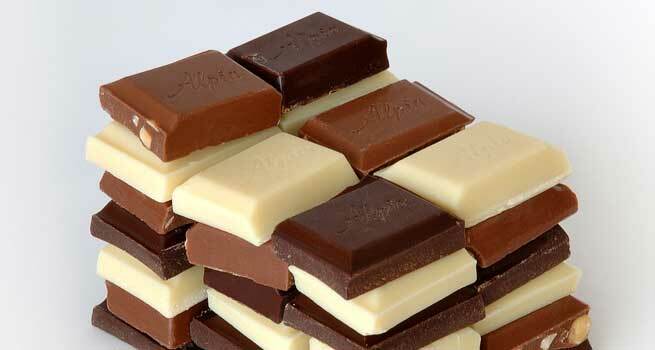 Cocoa butter, apart from making chocolates, is used for its moisturizing properties. It is rich in anti-oxidants and helps in skin rejuvenation. This property of cocoa butter helps in skin regeneration to overcome stretch marks. Cocoa butter can be used to prevent chapped lips, heal eczema and most importantly, to prevent stretch marks. When incorporated into the skin, cocoa butter makes the stretch marks paler and prolonged use makes them fade away. What’s more, it is a natural solution for your stretch marks, completely free of any harmful chemicals. How to use cocoa butter on stretch marks? Wash your skin well with a cleanser and pat it dry. Now take about two coin sized amount of cocoa butter. It melts at body temperature. Start massaging it into the skin, rubbing it in. Rub it in with circular strokes until all the cocoa butter is soaked up by the skin. Repeat this twice a day on all the affected areas- once in the morning and once in the night, before going to bed. For best results, apply it after a warm bath as this will help soak up the cocoa butter well into the body. If your marks are very intense, wrap up the affected area with a strip of cloth after applying the cocoa butter. If you are pregnant, apply it twice a day on your growing tummy every day to reduce the occurrence of stretch marks. Pure cocoa butter should be easily available in most stores that stock up make up and salon products. An over the counter brand of cocoa butter that is really popular is Palmers, so much that cocoa butter has become synonymous with Palmers. It is now available in many medical stores in India and also on various websites that sell baby products. You can increase the effectiveness of cocoa butter by adding extra emollients like shea butter, oils and vitamin E to it. In a microwave safe bowl, add ¼ cup of grated cocoa butter and equal part of shea butter. Add a teaspoon of almond oil and some vitamin E oil into it. Allow it to melt . You could use a double boiler on the stove also for the same purpose. Once melted, add the contents into a jar. Use it twice a day for smooth and moisturized skin. Whether this will erase all your stretch marks, is not guaranteed. But what it certainly will do is fade the existing ones and prevent more of them from occurring.